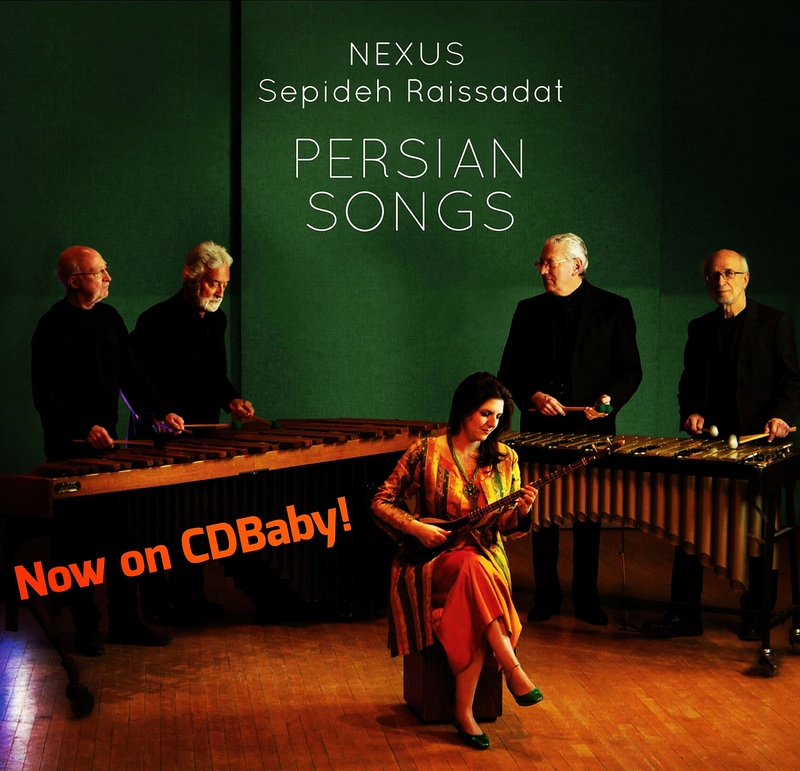 If you are a fan of internet radio, you can now hear one of our new Persian Songs tracks featuring Sepideh Raissadat on Radio Airplay: “Vajd; Ta Dami Bissayam” (“Ecstasy; A Moment of Ease”). The lyrics for this beautiful piece were written by Sheykh Bahayi (1547-1621). The piece was composed by Reza Ghassemi and arranged by Russell Hartenberger for his Persian Songs suite. The whole album, which also includes Russell’s Moondog Suite is now available on CD Baby. Click here, or search on “Nexus percussion”. Enjoy! 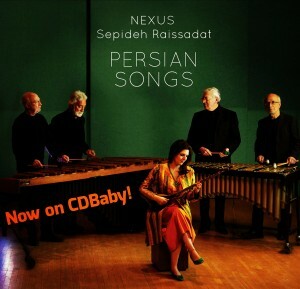 “Persian Songs” now available at CDBaby!!! What went into recording our new CD “Persian Songs”? Plenty!